This episode, which first aired Dec. 15, 1980, is both poignant and funny, but mostly poignant. As Father Mulcahy rallies the 4077th to organize a Christmas party for the orphans, B.J. is determined to make sure one family doesn’t remember December 25th as the day they lost their husband and father. As B.J., Hawkeye and Margaret struggle to keep their patient alive for a few more hours, Charles honors his family tradition by delivering goodies to a nearby Korean family. Imagine his shock when he learns those goodies are worth far more on the black market than in their tummies. 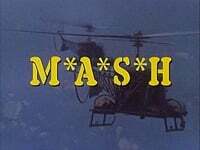 Once again, MASH delivers a touching episode that tugs at your heartstrings while putting everything in perspective. No wonder the series continues to enthrall us year after year, even though we know all the lines by heart.